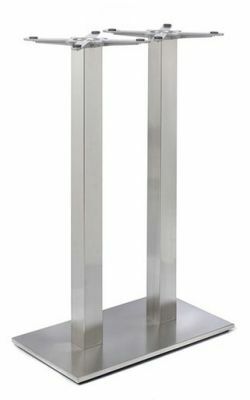 Designer stainless steel twin pedestal base for use with table tops up to a maximum size of 1200mm x 600mm. Held in stock for a free and fast delivery and available in two height options. Designer café tables bases with two columns designed to support rectangular café tops. 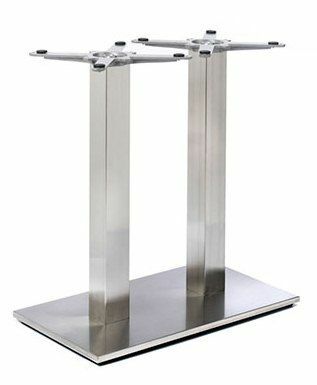 These café table bases are held in stock for a 2-3 day delivery.